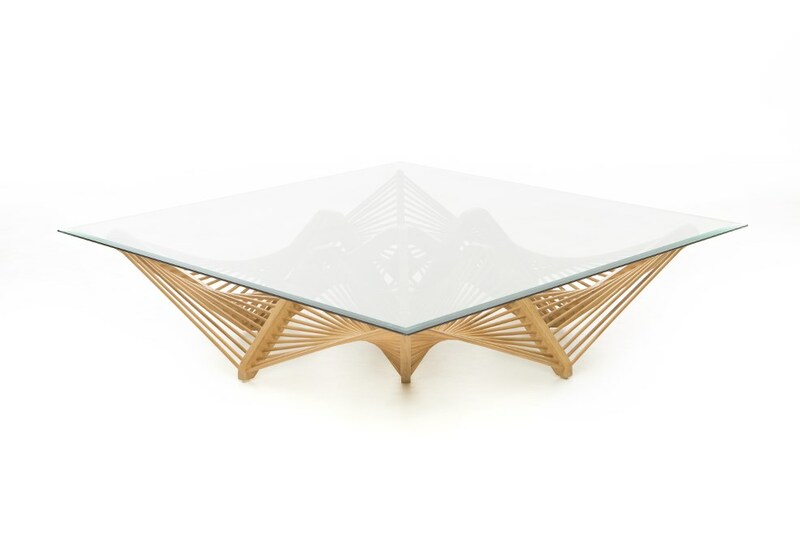 A bold web of geometric shapes marks this innovative design constructed with lauan wood. Designed by Vito Selma. Glass is 1/2" thick with rounded corners.